﻿ Mijatovic: "Cristiano Ronaldo had a better year than Lionel Messi"
15.12.2012 » Mijatovic: "Cristiano Ronaldo had a better year than Lionel Messi"
The former Real Madrid director of football, Pedrag Mijatović, has spoken a few words about the long awaited FIFA Balon d'Or 2012 award, in an event organized by the Spanish newspaper "As". 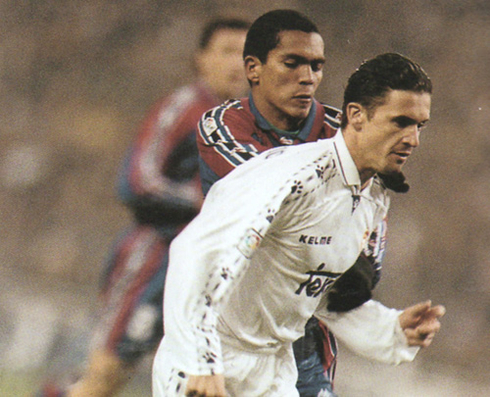 Ranked as the best football player of Yugoslavia in 1997, "Pedja" has revealed his preference for the Portuguese and Real Madrid forward Cristiano Ronaldo, over Barça's Lionel Messi. Despite the Argentinian's goalscoring record over this 2012 calendar year (88 goals so far), Mijatović downplayed the importance of such feat, since it has only given Barcelona the opportunity to win one Copa del Rey in 2012. 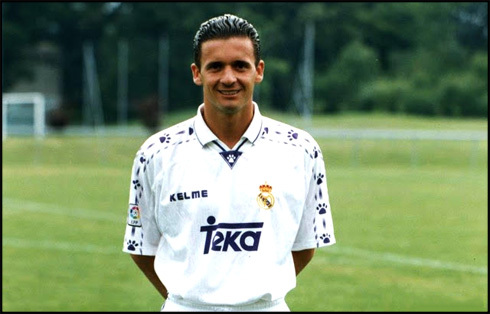 The Montenegrin has played for Real Madrid between 1996 and 2000, scoring a total of 29 goals out of 90 matches. During his last years of his career, he got used to play on a midfield role even though he has also been capable of playing as a striker or a center forward in many occasions, due to his tremendously gifted technique. He's still regarded as a hero in Real Madrid, as he was the main reponsible for scoring the winning goal in the 1998 UEFA Champions League final against Juventus, in a match that ended with a 1-0 score, in favor of the Merengues. In a ceremony hosted by the Spanish sports newspaper "As.com", Pedrag Mijatović has given voice to his thoughts about the upcoming FIFA Balon d'Or and defended that Cristiano Ronaldo is actually the football player who deserves it the most, regardless of the competition he'll be facing from Barcelona stars, Lionel Messi and Andrés Iniesta. Mijatović: "I would like if Cristiano Ronaldo wins the FIFA Balon d'Or 2012, as he has had a better 2012 year than Lionel Messi. ", started by claiming the Montenegrin, who believes that breaking Gerd Muller's 85-goal record in a calendar year (Messi scored 88 goals so far with 2 games left before the end of the year), isn't enough to overshadow what Cristiano Ronaldo has accomplished for Real Madrid and the Portuguese National Team. The Montenegrin could very well back up his opinion in several arguments such as the following ones: Barcelona will close 2012 with only one title in their pocket (the Copa del Rey 2012), while Real Madrid has won the Spanish League with a record breaking 100 points campaign, and also brought home the Spanish Super Cup played against Barça, on last August. Needless is to say that Ronaldo played a massive role in helping Real Madrid winning those two titles, as he managed to score to every single team in La Liga in just one season (becoming the first player in the Spanish League history to do so) and also scored two goals in the Spanish Super Cup 2 rounds final, precisely against Barcelona. Mijatović: "The FIFA Balon d'Or is a highly politicized award, with many commercial interests behind it, which many people can't really see that easily... That's the way football is organized these days. A goalkeeper could very well be as much or even more decisive than a forward in several circumstances of a certain game for example...", argued the former Real Madrid footballer, when defending his idea that the FIFA Balon d'Or award might not end up rewarding the players who have made the best campaigns on the field in a given season. 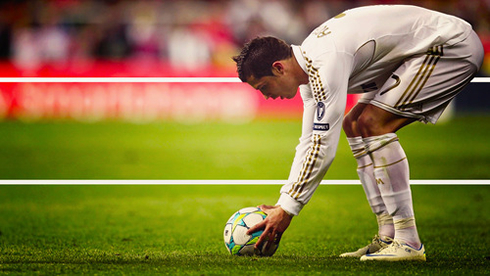 Either way, we'll all find out who wins the FIFA Balon d'Or 2012, next January 7, 2013. For now, we can simply make matchs previews and predictions for the upcoming games, and fortunately, both Real Madrid and Barcelona schedules are fully packed for the months to come. 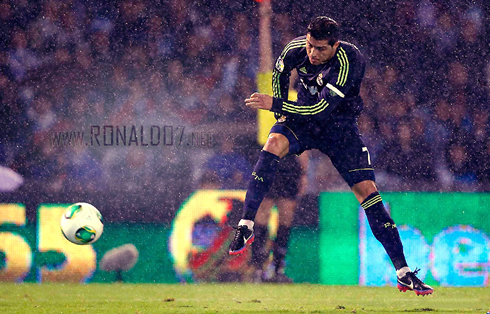 Cristiano Ronaldo next game for Real Madrid will be against Espanyol, for the Spanish League 'La Liga', next Sunday (December 16, 2012). You may watch Real Madrid vs Espanyol live, Barcelona vs Atletico Madrid live, Chelsea vs Corinthians and Tottenham vs Swansea, all matches provided from our soccer live section.